Middle East Forum President Daniel Pipes appeared on the Don Kroah Show of WAVA FM in Washington, DC, on October 21 to discuss the Forum's Islamist Money in Politics Project (IMIP) and its recently released top-ten list of politicians receiving contributions from Islamists. Don Kroah: ... The Middle East Forum's Islamist Money in Politics Project (IMIP) is releasing the top ten recipients of 2015-16 campaign contributions from individuals who subscribe to the same Islamic supremacism as Khomenei, Bin Laden, and ISIS. Guess who tops the list? Joining me to talk more about it, Daniel Pipes, president of the Middle East Forum. ... Daniel, it's been a very long time since you and I chatted, but I'm honored to have you on the show. Thanks for taking the time. Daniel Pipes: I'm delighted to be invited back on, Don. DK: I caught this and I thought how few people, I'm sure, even have a clue as to this. So talk about this Islamist Money in Politics project itself, and then take us into the list and why we ought to be concerned about it. Middle East Forum President Daniel Pipes: Voters should know "who's taking the money from our enemy and who should be looked at in this light." DP: Well, we've been following the officers of a number of Islamist organizations in the United States. By Islamist, I mean Muslims who seek to build a caliphate and apply Islamic law. It's a minority of Muslims, but it tends to be the ones who are most outspoken and the ones who are having the biggest impact on public life. They, in turn, divide between those who use violence, the jihadis, and those who don't, those who work in the system. It's the violent ones who get the bulk of the attention, but it's my belief that it's those who work in the system such as this way, giving money to candidates or influencing them in other ways, as well as working in the schools or in the courts. I think that's more effective and so, for some years now, we've been following who gives money to whom. By far, the largest amounts have gone, over the years, to the two Muslim members of the US House [of Representatives], which is not entirely surprising. But this cycle, that is to say, since two years ago, since the midterm elections, the overwhelmingly largest amount of money went to Hillary Clinton. "Since the midterm elections, the overwhelmingly largest amount of [Islamist] money went to Hillary Clinton." It's not a lot of money, when you think how billions are being raised in stacks by candidates in this election cycle. ... [N]o one is saying that this money is enough to change the candidates' views, but it is important for a few reasons. First, knowing who the enemy, in effect, is giving money to allows us to hold politicians accountable for accepting funds from discredited sources. Second, it signals the Islamists' favored candidates. Third. it tells voters who's taking the money from our enemy and who should be looked at in this light. DK: ... I think it bears also noting, as you do in the piece, that CAIR, the Council on American-Islamic Relations, is in that list [of donors] and not enough Americans, apparently, really are aware of who CAIR is. They've worked hard to scrub their image here in the United States. ... [T]alk about who this organization really is and why Hillary herself ought to be concerned to be in any way connected to such an organization. DP: Interestingly, back fifteen years ago, when she was a candidate for Senate, she returned Islamist money, $50,000 worth. That was then, now is now. 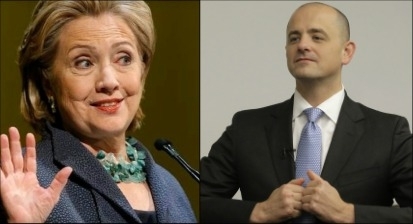 Presidential candidates Hillary Clinton (left) and Evan McMullin (right) are ranked first and sixth on the Middle East Forum's list of the top ten recipients of Islamist money for 2015-2016. CAIR, the Council on American-Islamic Relations, is a spin-off of a spin-off of Hamas, the US government-designated terrorist organization that attacks Israel. It has views similar to Hamas, but it doesn't use violence. It is an effective attack dog organization within the United States. It has dozens of offices around the country and, in particular, headquarters in Washington, DC. It has been attacking you, it's been attacking me, it's been attacking many others. CAIR tends to find an audience far more on the left than on the right. It gets donations from left-wing foundations. It gets endorsements from left-wing politicians and so forth. In very few exceptions does it get money or support from the right. DK: Your project has also noted Donald Trump, Gary Johnson. Neither has received any Islamist money, but you did mention the two members of the Congress, Keith Ellison and Andre Carson, and also nine Democrats and one independent of familiarity, [chuckles] Bernie Sanders. But in no case did your project find any Republicans taking any of this money? "The Left and the Islamists work together far more than the Right and the Islamists." DP: There are a few Republicans who have taken a little money, but it pales in comparison to the Democrats. I would say just off the top of my head, it's a ratio of about 19 to 1. Democratic funding by the Islamist to Republican funding by the Islamists. It's overwhelmingly Democratic, which again is not a surprise. The Left and the Islamists work together far more than the Right and the Islamists. 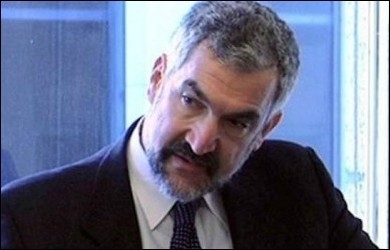 DK: We're talking with Daniel Pipes. Middle East Forum, an outstanding organization, a rich history of searching or ferreting out the truth of things such as this. You can check Daniel's work out at his website, DanielPipes.org.